Using scraps to cut the hearts out is another part of my mission this month of using my scraps up. The hearts really add to the layout and the clusters. You can see the hearts, both the green ombre paper and the gold glitter paper . They make a foundation for the title and the rest of the cluster. I did add some Pearl Platinum Stickles to add a little extra dimension. Put 3D foam tape (thin) under “Fancy”. I’m going to add another banner that says “that” just off the “Fancy” title. This layout shows the versatility of the Live Beautifully paper in that it does not “need” to be a formal event. This be a great layout for a little girl playing dress up or a in a uniform of some sort. SG in her new karate uniform, now a yellow belt, will work well with this. Use the zip strip to create the borders across the pictures. Great way to use the scraps and dress up the pictures. This cluster I love. SG does make my heart shine. I do so enjoy watching her work hard and overcome the tough challenges in life. Testing for her yellow belt was a challenge and she did it. S1705 – Live Love Laugh is a timeless Stamp of the Month for $17.95 or $5.00 with a $50.00 order. The Seasonal Expressions 2 is live now and all new! 5 Wonderful Workshop guides, one of which can be yours free with qualifying purchase of $25.00! Check it out! Join My Team and you will receive one of the Live Beautifully Cut Above kits, valued at $44.95. It’s $75 to join CTMH. That’s $30 more dollars than the Cut Above Kit!! The contents of the Consultant kit are worth $164 AND you get $50.00 of Product Credit to pick out other papers/inks/stamps for a value of $214. Add the $45.00 for the Cut Above Live Beautifully kit, and you’ve got $259.00 in supplies for $75.00. WOW. Plus there are lots of other great reasons to join – Check it out. Great Cricut Giveaway Event…over $3300.00 in prizes until we hit the goal of 39,000 points…read all about it!! The party total is moving on up and we had our three prize giveaway!! We are almost to the fourth giveaway! Wow….over $500 in prizes given out now! Thanks for stopping by my corner of the internet. I hope this “Fancy That” layout gets you excited about this great special! Get yours today, get an entry in the Great Cricut Giveaway, and a Workshop of your choice. Here’s the first layout of this wonderful workshop that you can get free when you order $25.00 or more on my website! A list of the supplies is available on my website here. The pictures don’t really do the layout justice. I made my pages with gold and silver glitter paper because, initially, I only had the silver glitter paper. When I got the gold glitter paper in, I decided to add some extra hearts in. In the end, I like having a combo instead. The CTMH heart dies make it really easy to create different sized hearts with the same shape (hearts can have different shapes). Size and layering are important in having this work well. This is really a fun set of compliments. Full of goodness and sayings you can use beyond a girl. I think this is a great graduation saying. What kid at high school graduation isn’t happy, to at least be done with school, and has big dreams? SG is going to be testing for her yellow belt and is super excited. I can’t wait to capture her face when she passes her test! More hearts and and titles with fun glitter embellishments. The black paper with the white rose outline looks really good on the black cardstock. I like how the papers pop on black. Don’t forget to use your zip strips! Little borders can add a lot to the page. Thanks for stopping by my corner of the internet. I hope this Be Happy Layout gets you excited about this great special! Get yours today, get an entry in the Great Cricut Giveaway, and a Workshop of your choice. Dream is the 2nd layout with the National Scrapbooking Month (NSM). It might be my favorite, I’ve not decided. I just love these butterflies in the kit. They are so beautiful and when you roll the wings just a bit, you create dimension. It looks amazing. The black background with the rose pattern in white on it is stunning. It’s very elegant would be amazing as a wedding background for formal pictures. It sets off the butterflies. On more picture of the butterflies. You can see how I’ve rolled the wing of the grey and black butterflies and then layered them on top of each other to create the cluster and dimension. Don’t forget you can get this kit for FREE when you join CTMH this month! Thanks for stopping by my corner of the internet. I hope this Dream Layout gets you excited about this great special! Get yours today, get an entry in the Great Cricut Giveaway, and a Workshop of your choice. Keeping active is not hard. It can be done for as little as $25.00/week if you are a hobbiest (self-supporting). There are three months to a quarter, 12 weeks. $300 to stay active before your discount, $234.00 after your discount. Create a closed or private FB group for you 2 of your friends (or more) and share the hostess rewards once a quarter for as little as $9.00/week. A little planning and you can some of the best, top quality products available. The New Consultant Kit $75.00. You receive $164.00 in product PLUS $50.00 of product credit to purchase stamps, papers, ink pads and more to complete with product YOU want! Then add that you get the Cut Above Live Beautifully Kit, value $44.95, for FREE. You can create 5 beautiful layouts and there are great directions with the kit. 5 Wonderful Workshop guides can be yours free with qualifying purchases! Check it out! Thanks for stopping by my corner of the internet. Join our fun and get a discount too! “Smile” is the first layout from the Live Beautifully Cut Above kit. This kit is $44.95 with a lot of the cutting done for you. This will make a fantastic present for anyone you know getting married. What a great gift to wrap up an album with finished layouts for the lucky couple to ad pictures to. Look at how beautiful the gold “smile” is on the page. “Being happy never goes out of style”. Your journal block is already there for you. All you have to do is piece together the the center of the layout. The assembly of the kit should take about an hour without interruptions. The elegance of this layout can be used to feature a wedding or prom or you can use when you’ve captured some amazing smiles. I love the circle feature of the text on the paper. Did I mention that it’s already down on the page for you? You have the half circle sentiment already on the paper. After you add the picture area and mat, you can create a cluster down on the bottom right of the pictures to lead into or continue the circle. These elements require no cutting. =) I wanted to show case this paper a little more. I love the gold embossed outline of the roses on the white paper. It’s beautiful. The kit is $75.00 with a value of $164.00 in it. Then you get $50.00 of select product credit to pick select products you want to make up your kit! The Cut Above Live Beautifully kit is $44.95 ($45). For an additional $30.00, you can get the Consultant Kit for $75.00. The best deal! Thanks for stopping by my corner of the internet. I hope you enjoyed this Smile Layout from the Cut Above Live Beautifully kit. You’ll be smiling more when you join CTMH for $75.00 and get it free! Live Beautifully is amazing paper and I wanted to take a post to just showcase how beautiful and amazing it is. The paper has gold foil accents on some of it. Two sheets of it are a white with gold polka dots and a white with the rose outline in gold. Pretty, pretty! Most of the paper is two-sided and they all have a zip-strip so you can use the little strip you cut off in your projects. There are two of sheet of paper design in the pack. I can think of so many different occasions this paper will work for. Proms, weddings, formal events, Mother’s Day, birthdays, and heritage pictures to name a few. The papers are modern and retro at the same time. Wait until you see the workshop layouts on my Class Page! The stamp set is great and wait until you see the cards I made where I embossed the roses with a rose gold embossing powder I found during the Coffee Lover’s Blog Hop! So pretty. The stamps are large enough to work as titles on your scrapbooking pages or as cards. I love the saying “she believed she could so she did”. The power of your own thoughts. The color of your roses can determine the message of your layout or your cards. Definitely a stamp set that will be usable long past the Live Beautifully papers. Check out my Seasonal Expressions 2 Walk Through on FB Live in my customer group (no consultants please). The Seasonal Expressions 2 is live on May 1, 2017. All new! Join My Team and you will receive one of the Live Beautifully Cut Above kits, valued at $44.95 ($45). It’s $75 to join CTMH. That’s $30 more dollars than the Cut Above Kit!! The contents of the Consultant kit are worth $164 AND you get $50.00 of Product Credit to pick out other papers/inks/stamps for a value of $214. Add the $45.00 for the Cut Above Live Beautifully kit, and you’ve got $259.00 in supplies for $75.00. WOW. Plus there are lots of other great reasons to join – Check it out. Thanks for stopping by my corner of the internet. I hope you enjoyed checking out the Live Beautifully paper and stamp set for National Scrapbooking Month! It’s May and It’s New! May is here. Spring has skipped us and summer heat and humidity is settling in. It’s National Scrapbooking Month bringing the Live Beautifully collection. Wait to see all the options you have for ordering this, including some amazing workshops. The Seasonal Expressions 2 is now live with amazing products. Get your copy of the Seasonal Expressions 2, free, when you place an order on my shopping website: SHOP NOW. As you are checking out, you’ll be offered the option to accept a free copy of the Seasonal Expressions and they’ll ship it directly to you. Come to my Open House on May 13th from 3-7pm, Free Create and Take. Check out the new product and classes. Win some prizes. Have fun. RSVP through this FB event: OPEN HOUSE. Don’t forget it’s Teacher Appreciate Week, either this week or the week coming up. Make your child’s teacher(s) something special. The best thing about our National Scrapbooking Month Special, Live Beautifully, is all the different ways you can get this amazing paper. The Cut Above kit is simple to do and a great way to get some pages done quickly. The paper is stunning. See the five different workshops I’ll be offering this month when you purchase $25.00 of the workshop supplies from my website. Check Workshops Out. These three options which helps you create five complete scrapbook layouts in half the time! Buy these exclusive products separately, or buy an album bundle with the new Cut Above layout kit to save 20%. Or you can also just buy it all! Host a party in May that reaches the third level of Hostess Rewards or higher (and submit your party order by June 5, 2017), and receive the Cut Above™Live Beautifully layout kit(CC1212A) for FREE! 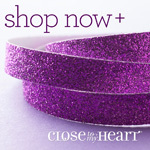 Become a Close To My Heart Consultant in May and receive the Cut Above™ Live Beautifully layout kit (CC1212A) for FREE! As I mentioned earlier, I have 5 different workshops you can do with these amazing products. When you place your order for workshop supplies, you can choose which workshop you want for FREE (electronic files) with a $25.00 order. This paper looks like May. May Day is May 1 and it’s a day to celebrate Spring. Look at the bright colors in the paper. It’s “happy” paper. You have several different option for using these papers with different Workshops Your Way. Calling all coloring fanatics! This is the SOM for you! Got a friend who loves coloring, get this set as a gift or to make cards/pages for them to color. “Live, Love, Laugh” is a saying that’s been around for a while. It’s amazing how these words can fit into so many situations and celebrate so many different relationships. Get this D-size Stamp of the Month set for $17.95 OR for a deal, $5.00 with a minimum qualifying purchase of $50.00! Add the stamp set to your cart on this page at full retail price or, with your qualifying order, add it at checkout for the promotional price. Join My Team and you will receive one of the Live Beautifully kits, plus there are lots of other great reasons to join – Check it out. Thanks for stopping by my corner of the internet. I hope your first day of May is wonderful! Last chance for Happy Times paper and stamps. Don’t miss these amazing papers. Check back posts for layouts and cards created with the paper and stamps. Last chance for S1605 Celebrate with Cake! Love coloring? Have birthdays or weddings to celebrate. This is the set for you! Don’t miss out on any of these deals. They are a steals. Who would think Chocolate would work with Happy Times? After I made a layout with our Kraft papers, I tried Chocolate and I think it works well! I used the full sheets of the ombre papers – both the warm yellow pinks and the cool blue green for this layout. I added Gold Sequins and glitter gems from my stash that I’m trying to use up. This is your next to last day to get this awesome paper and stamp set to celebrate National Scrapbooking Month. I use my piercing tool but anything round and even your fingers will allow you to roll/shape the petals and leaves. I found that I liked to distressed the edges of the cut flowers and leaves with a sponge dauber and ink pads. I liked the shading and feel like it make my fussy cutting look better. Here I added more layering by having the ribbon lay under the petal of one of the flowers. With the base stamp for the flower laying flat and by rounding the petals of the flower, I think the flowers look great. I added gems and/or sequins in the center of the flowers. I also used a shimmer spray to shimmer to the leaves and flowers. Don’t miss out on getting this Happy Times paper for free with a $60.00 order and the stamp set for $17.95. You’ll also be able to get the SOM for $5.00 with this order AND cutting guides/directions for layouts and cards featuring the paper and stamps.